Quetta is the capital of Balochistan province and considered to be the ninth largest city in Pakistan. It is a metropolitan area with a population of approximately 1,140,000. Quetta is also contributing by growing literacy rate in country’s prosperity. Mentioned below are some the highly ranked institutions in Quetta. It is a public research university established in 1970. The university covers an area of approximately 200 acres. The university was initially started with the three main departments i.e. Chemistry, Physics, and Geology. Later on, time by time it was upgraded and now it incorporates 33 departments which include various science subjects. The university is recognized by HEC. It has a student count of approximately 6000. BUITEMS is a public research university founded in 2002. The university is accredited by HEC and it has a student count of approximately 8315. The university incorporates five faculties in 32 disciplines and offers undergraduate and graduate programs. The major subjects offered in the university are Engineering, Computers, Business and Sciences. The university is also recognized by Japan Board of Robotic Studies. Preston University was established 1984. Initially, it was founded as a school of business and commerce but later on, it was upgraded and further science subjects were also incorporated. Now the university offers undergraduate and postgraduate degrees in various subjects. 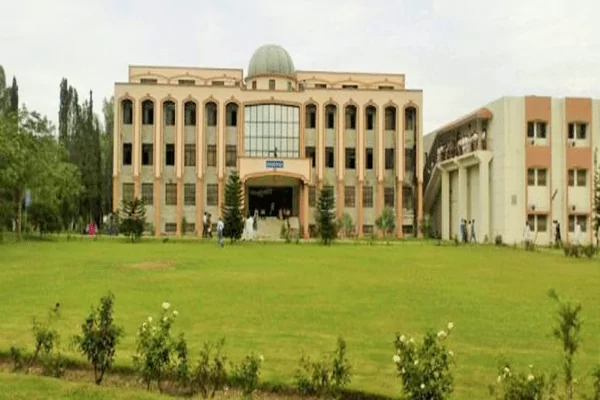 The university has campuses in Kohat, Islamabad, Peshawar, Lahore and Ajman (UAE). National University of Modern Languages is a public research university with seven regional campuses in four provinces. The university was founded in 1970 and is affiliated with HEC. The university offers various programs in languages, social sciences, linguistics,management sciences, communication and computer sciences. It was established in 1995. This university actually offers Islamic Studies and modern sciences. Quran Research Academy & BITSOFT-Pakistan are the Research and Developement Divisions of Al-Hamd Islamic University.